Stock-Up Deals on Breakfast and Lunch Snacks: Annie’s, Clif Bars, Planters, and more! Amazon has several amazing stock-up prices on breakfast and lunch snacks right now! Don’t miss out on these LOWEST prices on record. 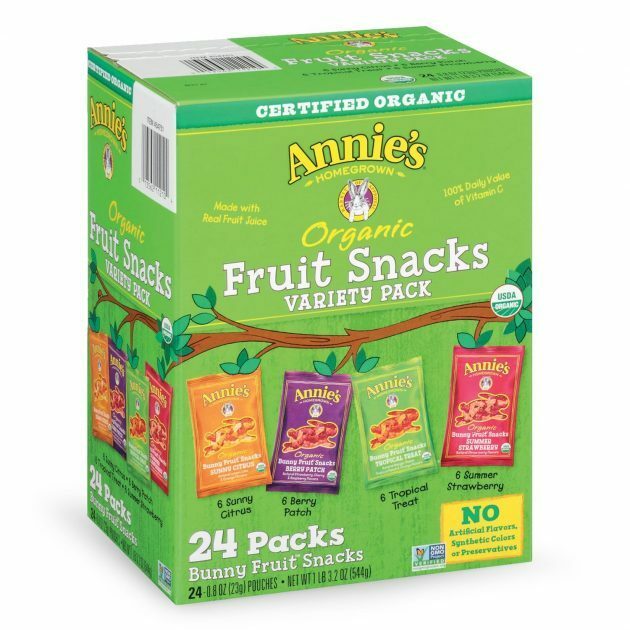 Get Annie’s Organic Bunny Fruit Snacks, Variety Pack (24 count) for just $10.17 shipped when you clip the $4 off e-coupon and checkout through Subscribe & Save! 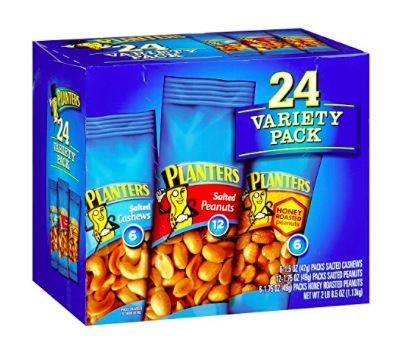 Get this Planters Nut 24 Count-Variety Pack for just $8.06 shipped when you clip the 15% off e-coupon and checkout through Subscribe & Save! 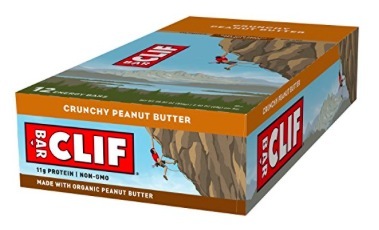 Get these CLIF Energy Bars, Crunchy Peanut Butter (12 count) for just $9.56 shipped when you checkout through Subscribe & Save! 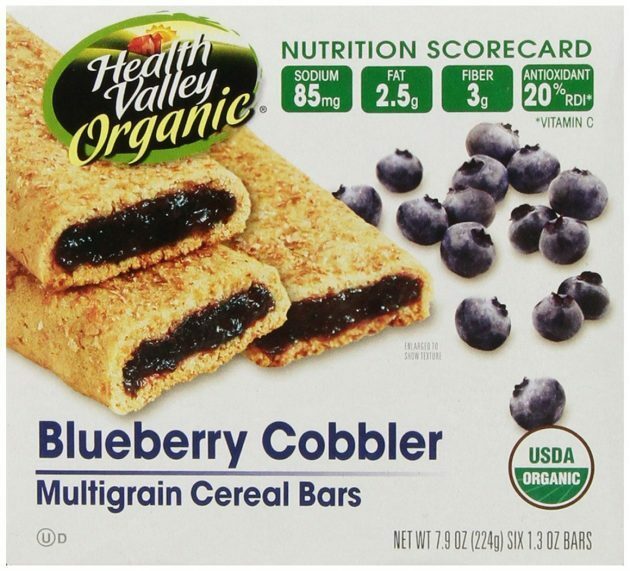 Get Health Valley Organic Multigrain Cereal Bars, Blueberry Cobbler (36 count) for just $18.32 shipped when you clip the 20% off e-coupon and checkout through Subscribe & Save! 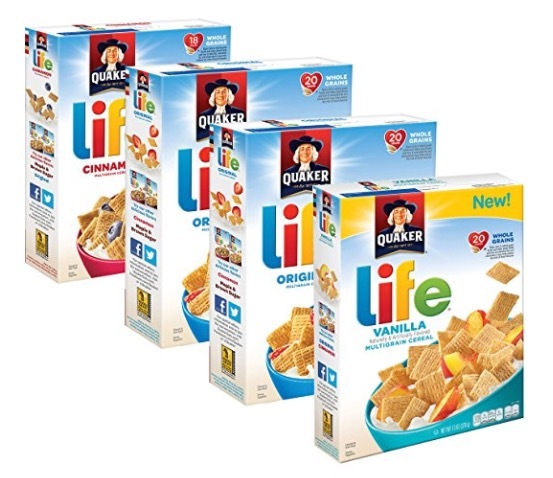 Get this 4-Count Variety Pack of Quaker Life Cereal for just $7.59 shipped when you choose Subscribe & Save at checkout. 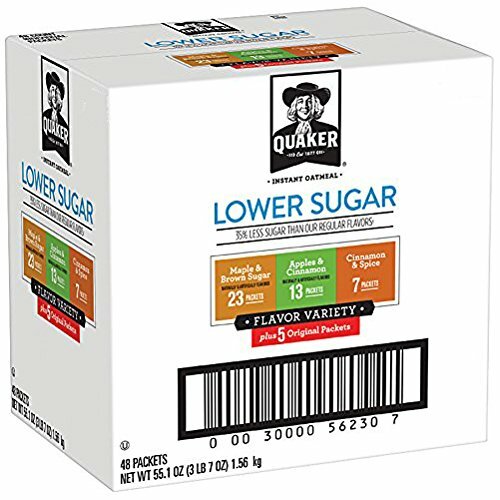 Get this Quaker Instant Oatmeal, Variety Pack (48 Count) for just $9.11 shipped when you clip the 20% off e-coupon and checkout through Subscribe & Save! 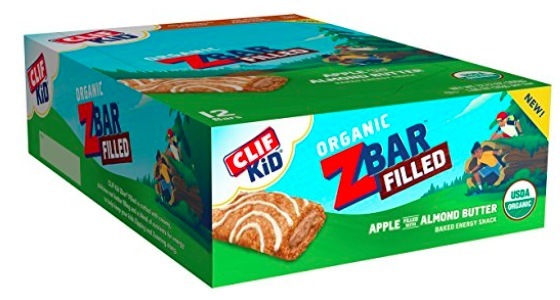 Get these Clif Kid ZBar Filled Organic Energy Bar, Apple Almond Butter (12 count) for just $9.11 shipped when you clip the 20% off e-coupon and checkout through Subscribe & Save! 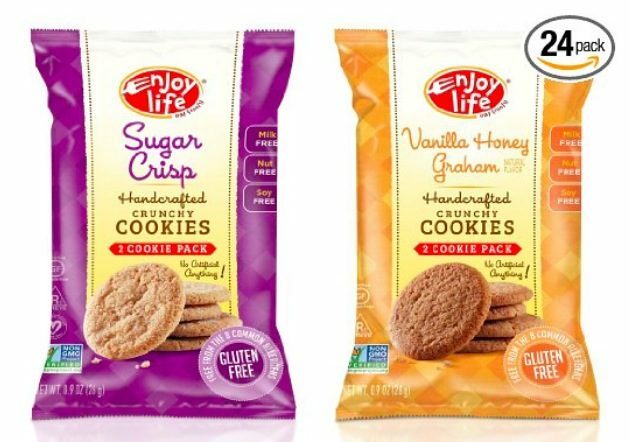 Get these Enjoy Life Gluten & Dairy Free Crunchy Cookie Snack Pack, 24 count for just $15.86 shipped when you clip the 15% off e-coupon and checkout through Subscribe & Save! 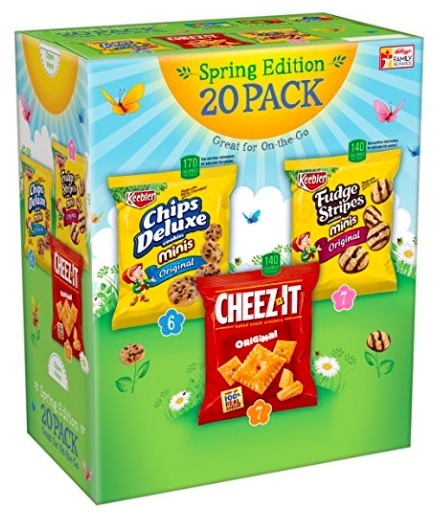 Get the Keebler Cookie and Cheez-It Variety Pack (20-Count) for just $6.38 shipped when you checkout through Subscribe & Save! 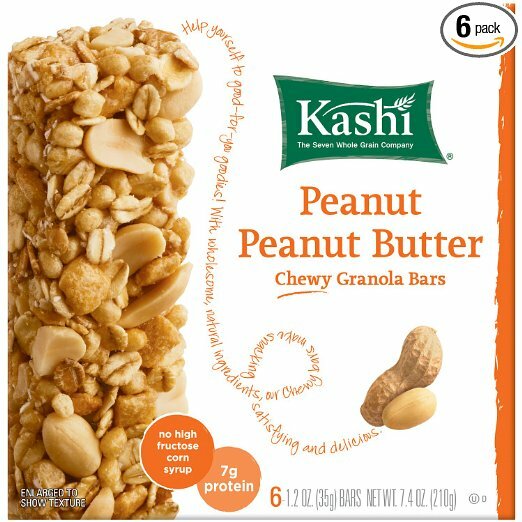 Get these Kashi TLC Peanut Peanut Butter Chewy Granola Bars, 36 pack for only $13.60 shipped when you clip the 20% off e-coupon and checkout through Subscribe & Save! 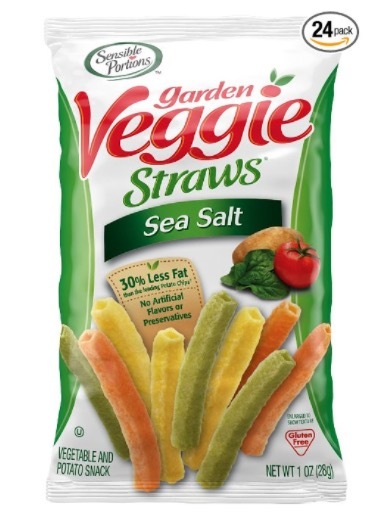 Get this 24-pack of Garden Veggie Straws for just $11.48 shipped when you clip the 20% off e-coupon and check out through Subscribe & Save. 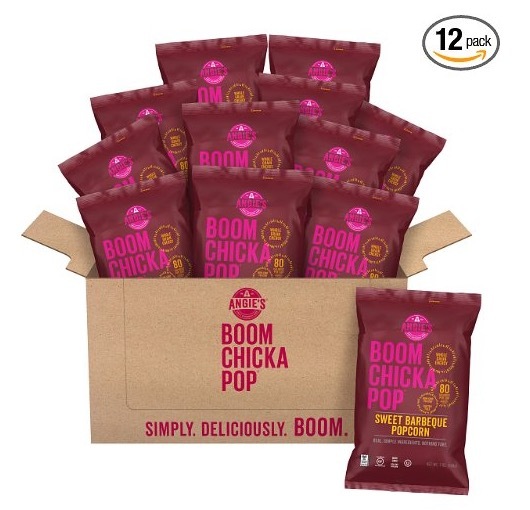 Get this 12-pack of Angie’s BoomChickaPop Sweet BBQ Popcorn for just $23.33 shipped when you clip the 15% off e-coupon and check out through Subscribe & Save. 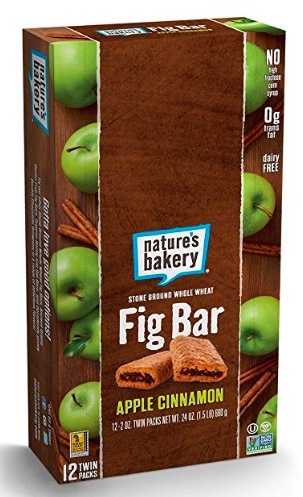 Get these Nature’s Bakery Whole Wheat Fig Bar, Apple Cinnamon, 12 count for just $5.68 shipped when you checkout through Subscribe & Save!